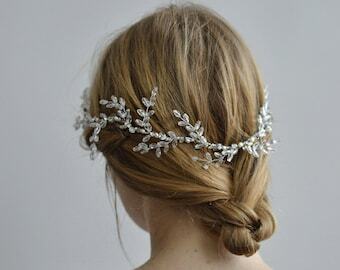 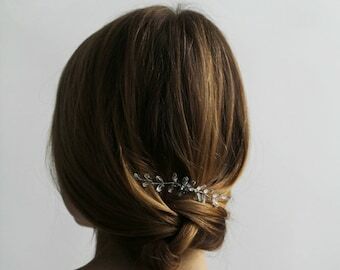 This bridal hair adornment is for a bride who lives for romance and believes in happily-ever-afters. 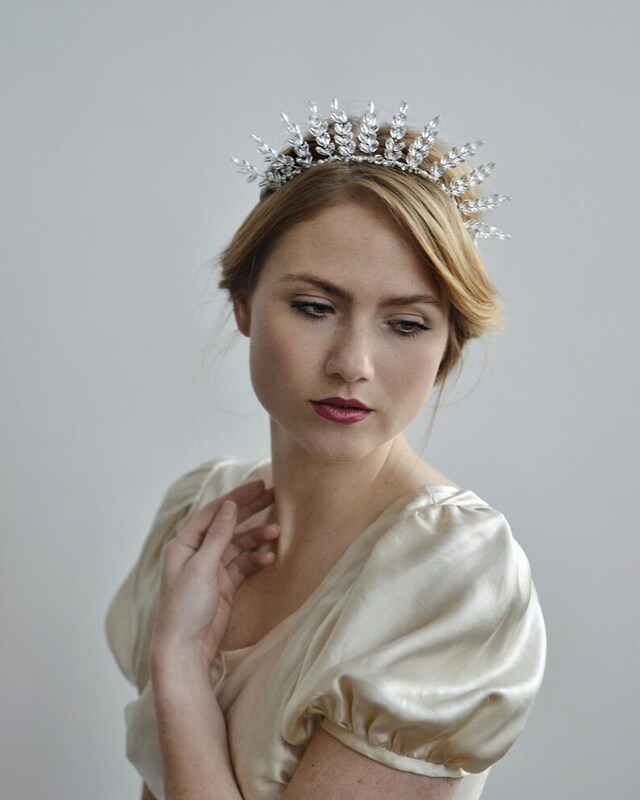 Handcrafted with glass stones to create a winter's enchanting frost; the crown's base is trimmed with hand wrapped raw freshwater pearls, Swarovski stones, metallic sequins and glass beads. 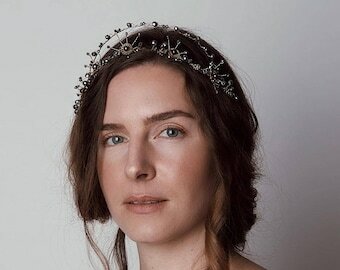 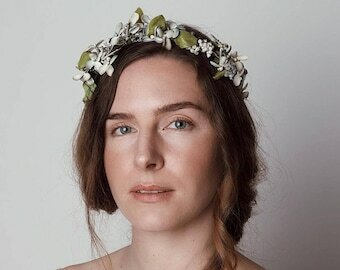 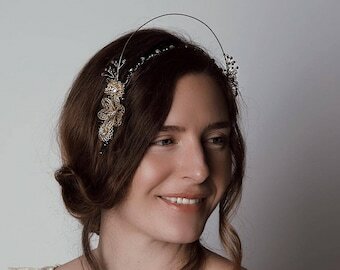 This Esther Jean headpiece is sure to capture that fairytale "I do" moment for your special day. 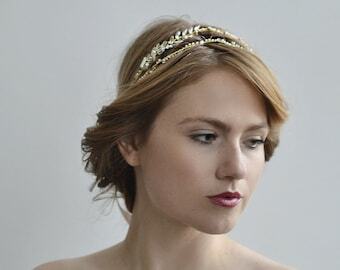 This is a great bridal piece that you will be able to wear many times after your special day of true love.